The harmonious unification of an appealing look with a functional aspect is evident here. 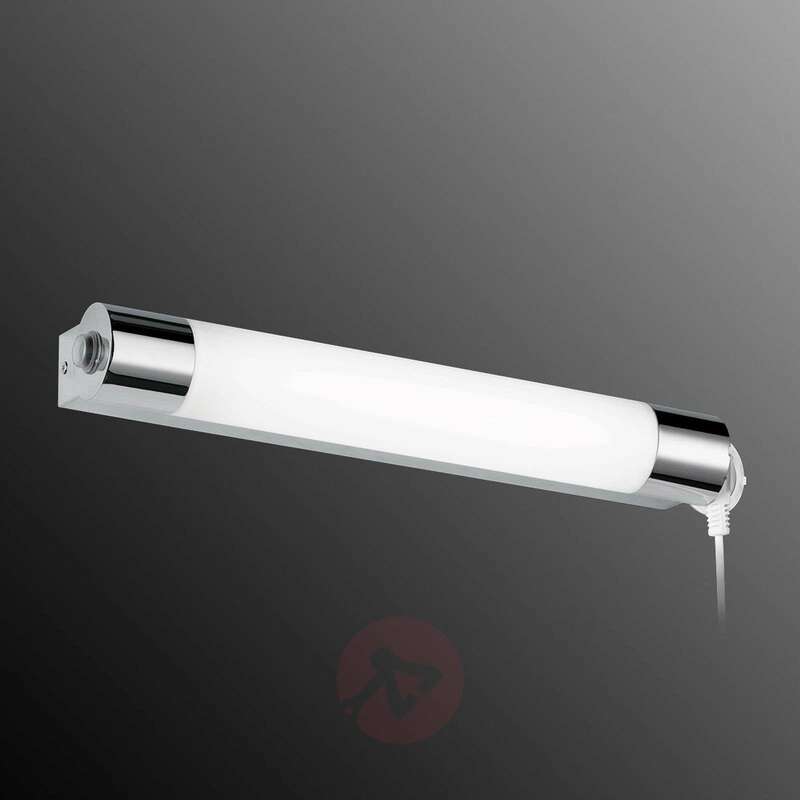 The LED bathroom wall light Paulien is equipped with an additional socket, which is useful in the bathroom if there is no socket close to the mirror. Styling with a hair dryer, curling iron or hair straightener is not a problem and also the electric shaver can be used or charged as needed. Mounting the LED wall light in the kitchen is also worth considering as both light and power source are required at very frequent intervals here and it can quickly turned on and off - thanks to the switch. 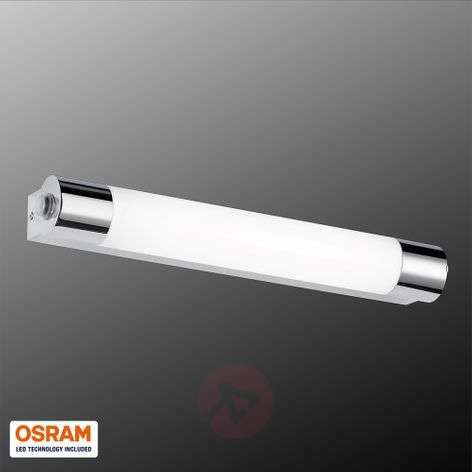 The total light output is 420 lumens, which is equivalent to 70 lumens per watt and is therefore considered highly energy efficient. Does this fitting have a built in switch? Kindly note that the luminaire has an external on/off switch located on the side of the light.